The watch is an important accessory in day to day life. Buying the right one and showing how it should be are the two secrets that we reveal to you here. A watch of a prestigious watch such as Panerai Luminor is not an expense, it is an investment. It is an inheritance that you can leave to your children and that will be revalued over time. But before taking the step to get one of them it is important that you know some of the keys of watchmaking. Not everything that glitters is gold, not on your wrist either. 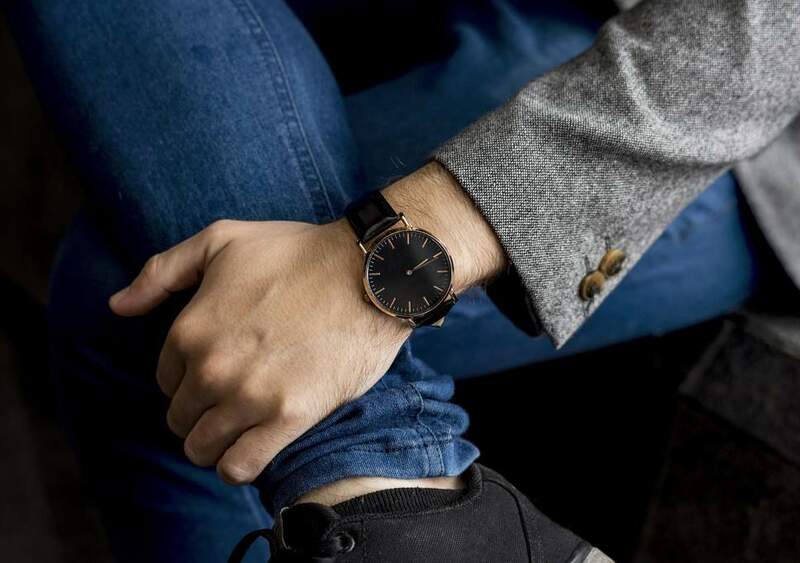 According to our expert team in curatorship of watches, there are two large groups of watches, those of quartz and mechanics and their difference is in mechanics. Quartz watches, also known as ‘battery-operated’ watches, are associated with the medium or low range, although large brands such as TAG Heuer, Breitling or Patek Philippe have models in quartz that can be considered luxury and have had a great exit in the market. The great classics are usually mechanical watches and represent the watchmaking art par excellence. There are manual windings that force us every so often to operate the crown and wind it to keep giving the time, and are the automatic that introduce a rotor that rotates to the rhythm of the owner’s wrist and therefore they wind up when the person is moving. The mechanics tend to be more expensive due to the work involved in dealing with cog wheels, axles and springs, all synchronized, so that the time is right and accurate. And then there are the rubies or ‘jewels’. The machinery of the watches uses synthetic rubies as axes of the mobile mechanical elements due to their low friction, which minimizes the wear of the pieces and increases the precision of the assembly. Their reddish color makes them easily identifiable within the machinery so we can know the number of ‘jewels’ we have. But, the higher the number, the better the watch? Not always. It will depend on the functions of the watch that we have in hand. Chronographs need more rubies than one that indicates only the time. Perhaps you have heard it mentioned, it is simple: it is each of the extra functions of a watch, based on the function of indicating hours and minutes. The most common are Date, Day and Date, Chronograph, Annual Calendar, Perpetual Calendar, Repetition of minutes… In fact even the second hand is considered an extra function. The crystal material is the other battlefield of a luxury watch. Currently the sapphire has been imposed on the plexiglass and the crystal-mineral is only used for the most accessible clocks. The sapphire is extremely hard, it can only scratch with the diamond but that does not mean that it is not fragile, a sharp blow in the glass can give us a good disgust. The collector’s watches are usually made of plexiglass, since it was the material that was used before. Many vintage lovers prefer this type of glass that gives an older look.